We’re only two games into the season and shouts for Arsene Wenger’s head are already ringing out across social media. So, you know, a typical start to the season for the Frenchman. This time, the criticism is pretty much the same as its always been. Vocal fans and pundits are shouting for Arsenal to invest heavily on key positions, and it sounds like Wenger has had enough of it. After their draw against reigning champions Leicester City over the weekend, Wenger faced questions asking why they had yet to bring in another striker (since then they’ve loaned out Joel Campbell to Portugal for some reason), and why their rail thin defensive unit hadn’t been strengthened. This comment has sparked some outrage amongst Arsenal’s loyal fan base and even prompted an alleged club employee to resign with a pretty funny letter, but the comic sans font makes me doubt its validity a little bit. To an extent, I understand where Wenger is coming from on his reluctance to break the bank for a player that he isn’t 100 percent confident can live up to the billing. However, his reasoning for why the Gunners can’t pull that off is a little bit of stretch. 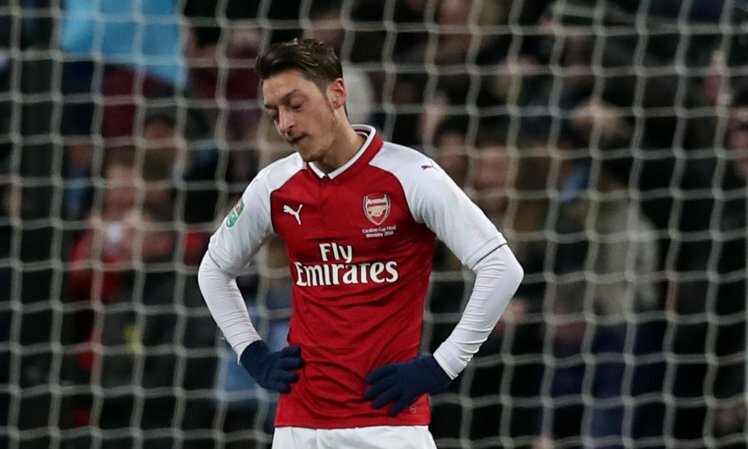 When you consider the millions upon millions of dollars in revenue that a club of Arsenal’s stature rake in through endorsement deals, TV broadcasting rights, and ticket sales; blaming the salaries of the staff for limiting your buying power is ridiculous. As noted in Vice’s article, the Gunners generated the third most revenue of any club in the Premier League with £435.5 million coming into the club during the 2014/15 campaign. Going back to the pro-Wenger side, I think that he receives a lot of undeserved flack because he is the face of the club. But, you have to consider that he may not be the one controlling the pocketbook at the club. The Gunners’ largest shareholder, Stan Kroenke, has a history of keeping a tight hold of the club’s purse strings, and he’s also in the middle of relocating my beloved St. Louis Rams to Los Angeles. With all of that going on stateside, spending money on his London investment may not be the most important thing for the University of Missouri alum. If it makes any Arsenal fan feel better, just know that the city of St. Louis feels your pain and disdain for Kroenke. Arsenal haven’t been completely stagnant during this transfer window, contrary to how the media may portray it. Three players have joined the Gunners with Granit Xhaka (£35 mil) and Rob Holding (£2 mil) have already finding themselves thrown into the starting lineup. Wenger has even praised Holding’s strong performances and sarcastically apologized that he didn’t spend £50 million for the 20-year-old. The club also brought in 21-year-old Japanese striker Takuma Asano, but apparently he hasn’t secured a work permit so a loan move is imminent. There’s still a little more than a week left in the summer transfer window so who knows, Wenger may still have a signing up his sleeve. Valencia’s center back Shkodran Mustafi has been a popular name tossed around the rumor mill, but Pako Ayestran, Valencia’s manager, has guaranteed fans that the 24-year-old is staying in Spain. Even former Manchester United defender Jonny Evans has been linked with a move to the Emirates. If I had to guess, Arsenal aren’t going to be breaking the bank for anyone come September 1st. They’re really in a lose-lose situation. If they don’t sign anyone, it’s typical Arsenal and fans will threaten protest due to the lack of investment. If they do make an expensive signing, it will be labelled a desperation buy and unless that new player delivers blockbuster performances he’ll be labelled a bust. As a United fan, I don’t mind seeing Arsenal in this bind, but I can’t imagine being Wenger and having to deal with this year after year. He’s led the Gunners to 15 pieces of silverware over 20 seasons, and you’d think that would earn him a little bit more credit from the fan base. 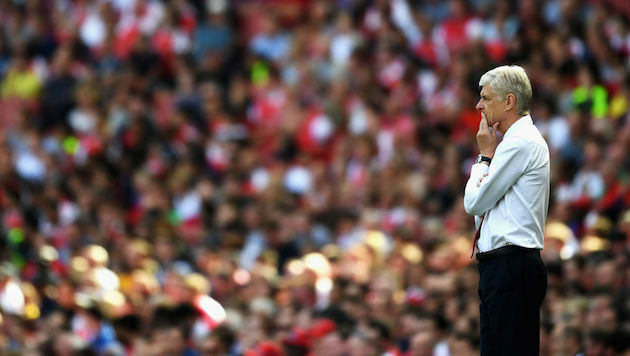 Can he move past the criticism once again, or will this finally be his last season in charge at the Emirates? Only time will tell, but I think he deserves to go out on a high note.